Vidque is a video platform that aggregates all the videos from different video sources into one single page. It also serves as a social profile for users where they can store their favourite videos, rank and rate others' videos and interact with the community members. 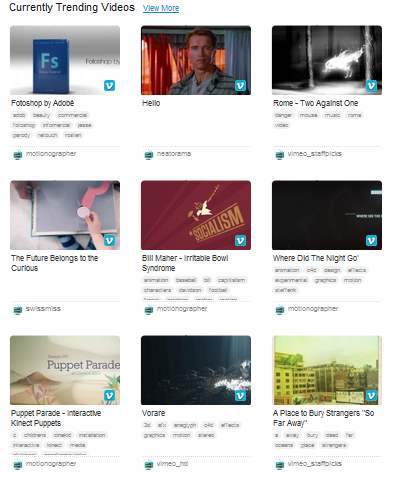 Vidque allows you to open your free account with them and start curating your content. You will have access to videos from the popular video websites such as YouTube, Vimeo, Ted, Blip.tv.